Geographical location: The park is found In the south – Western corner of Uganda bordering Rwanda and Zaire. 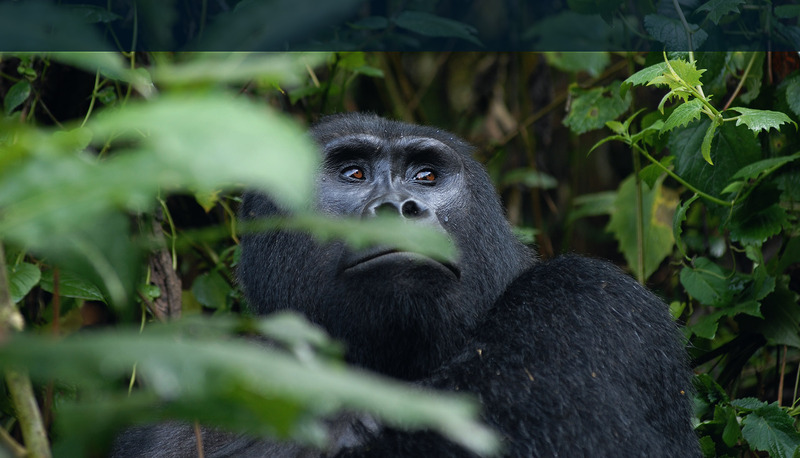 It is situated in the extreme South-Western corner of the Country, forming part of a large conservation area that straddles political boundaries to include Volcano in Rwanda and Parc de Virungas in the Democratic Republic of Congo. 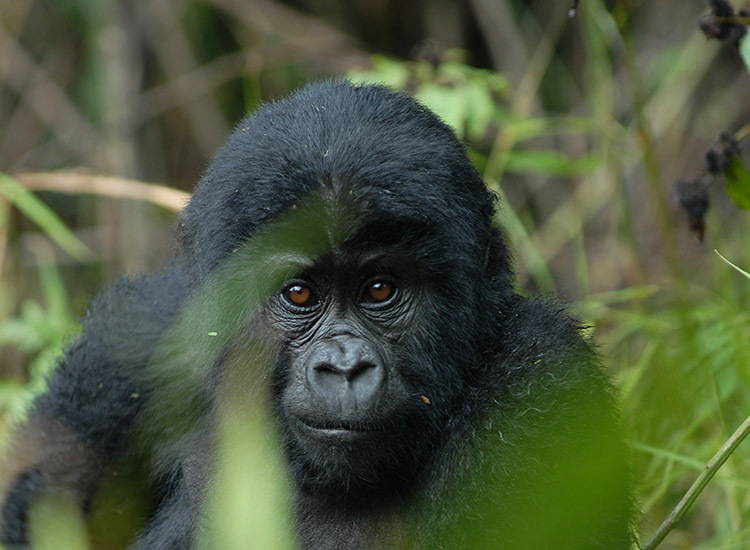 The park is also home to the world’s endangered mountain gorillas yet favors the gorilla trackingexperience. Golden monkeys, Buffaloes, Elephants, Black-fronted duikers, Bushbucks, Giant forest hogs, Side-striped Jackals, Egyptian mongoose, several cats, and spotted hyenas have been recorded here. The park comprises of three parts of volcanic mountains, Mt. Muhavura (4127 m), Mt. Gahinga (3475 m) and Mt. Sabyinyo (3645 m). Gahinga is the lowest of these mountains and has given the park its name. This north-eastern part of the Virunga range seems to be extinct, but two western volcanoes on the Congo side are active and erupt every two years. Like an old man, the time has eroded Mt. Sabyinyo’s crow. This volcano offers three challenging peaks to climb. A climb up the mountain takes one up a ridge along the eastern side of the rise to the summit. If you are to continue, the hill to the peak 11 involves walking a ridge with breath-taking drops into gorges of Rwanda and Uganda, a dual experience you will achieve here. Finally, the hike up to the peak 111 is steep with several ladders and much scrambling. You are guaranteed to get your hands dirty en-route to peak111! Once on top, you will be in Rwanda, Democratic Republic of Congo and Uganda, what a triple experience this is! The journey takes about eight hours round trip to cover the 14km stretch. On your way to the park, look out for small piles of stones in the garden fields. The local people call such a collection a ‘Gahinga.’ Mount Gahinga is quite bigger than the average ‘gahinga’ but sitting next to Mount Muhavura does make it look small. A hike, which takes you about, six hours round trip, goes through a good example of a pure Bamboo forest. Gahinga once had a Crater Lake on top but time has changed it into a Lush swamp. Distance to the wetland is 8km. Seen from all over Kisoro, this volcano acts as a guide. The typical cone-shaped Mountain provides some of the best views in the country. Much of the climb passes a rocky surface covered by grasses and small shrubs. Once at the top, hikers are rewarded with the view of the Virunga volcanoes, Lake Edward in Queen Elizabeth National Park, Bwindi and the peaks of Rwenzori Mountain. The hike takes approximately 8 hours round trip covering 12km. You are advised to camp at the Muhavura base camp the night before. The site has no facilities. Therefore, you need a tent, water, food and sleeping gear. Local People: The Batwa (Pygmies) who once lived in the caves and fed on wildlife have been allowed to settle in this area in accordance to the law of the Uganda Wildlife Authority, and they are entitled to 20% of the entrance fees. The Batwa have a population of 331persons per sq km.